Singapore is surprising. For such a small technologically developed country, it has many places where you can enjoy nature and animals. 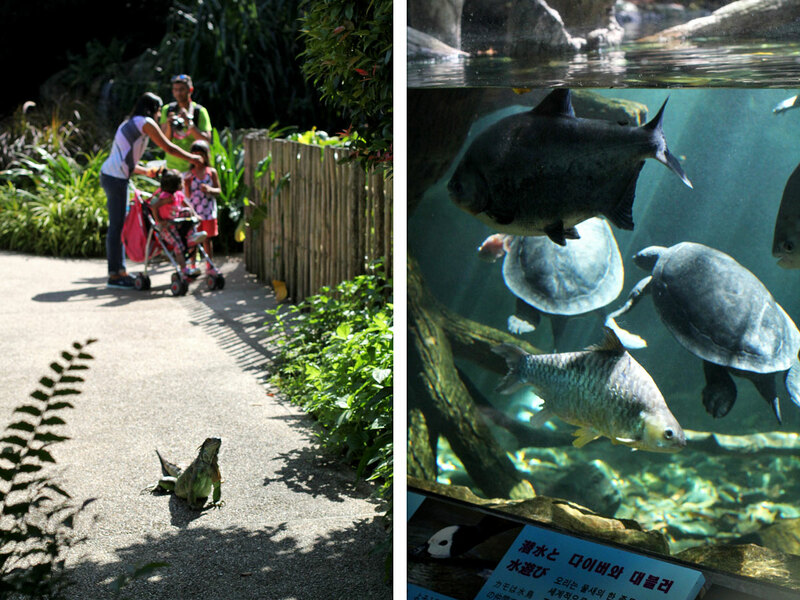 From Gardens by the Bay to the Botanical Gardens to its animal parks, many are world class. 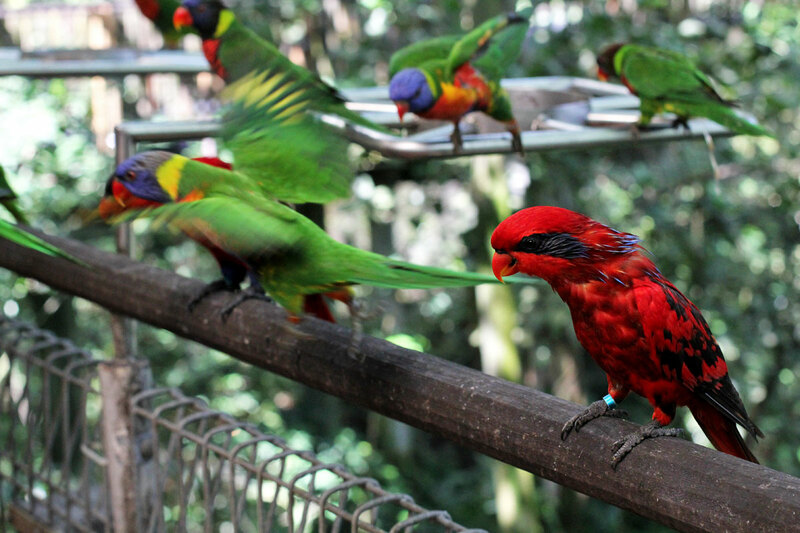 Admission to Jurong Bird Park is normally SGD 30 for adults and SGD 20 for children, but discounts are available. More information at the bottom of this post. 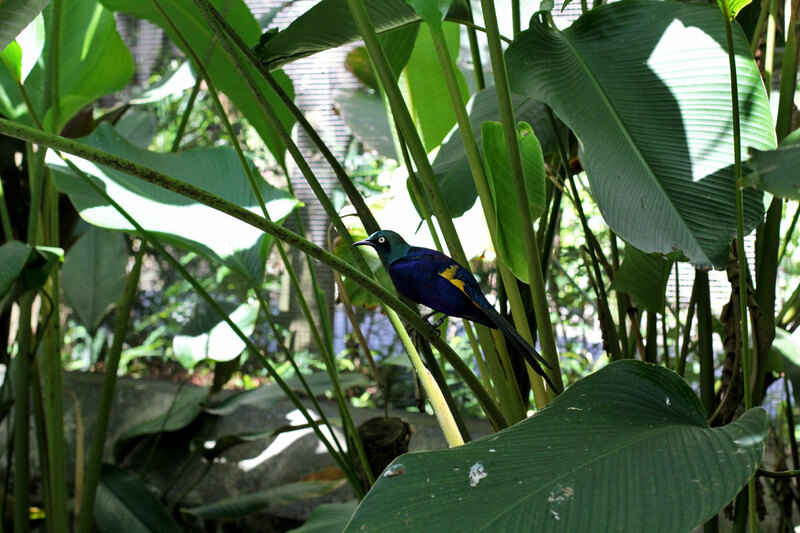 Jurong Bird Park is a short bus ride away from the Boon Lay MRT station. 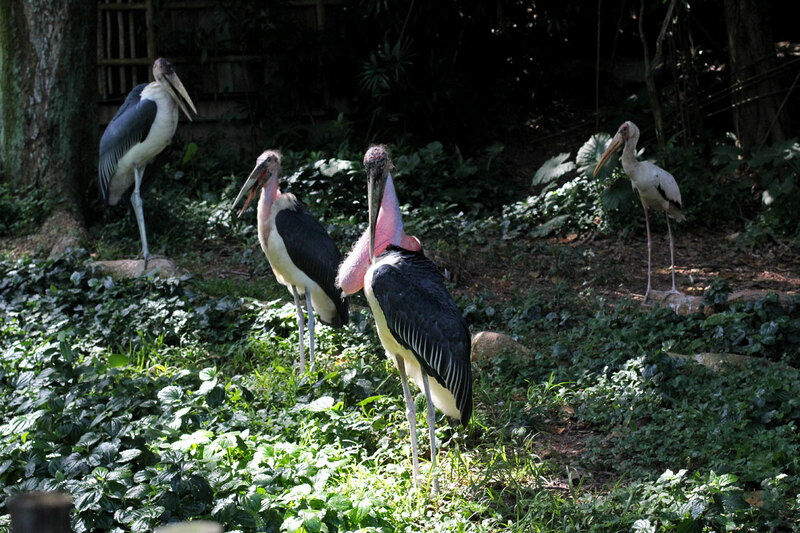 It’s said to be Asia’s largest bird park with over 5,000 birds across 400 species in a sprawling 20.2 hectare space. 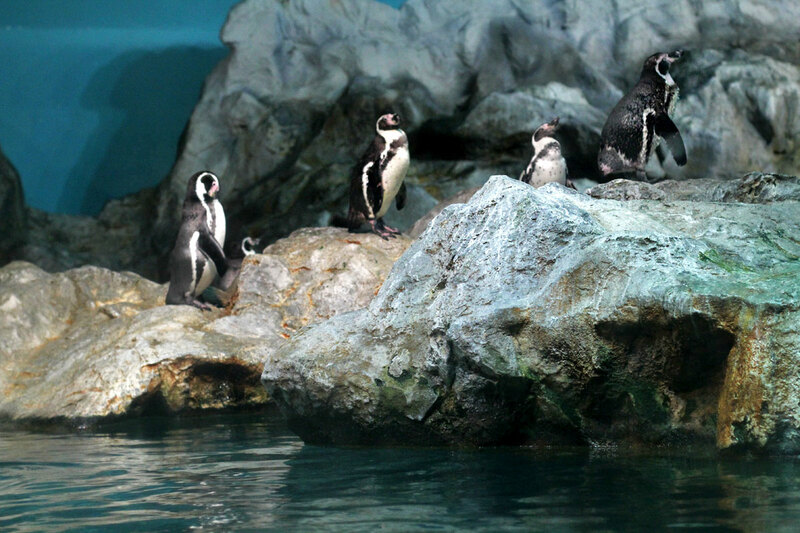 Waddling with some penguins at the Penguin Coast exhibit. These cuties are always a hit. Check out them legs at Flamingo Pool! You’ll find even more of these leggy birds at Flamingo Lake. I think these were American flamingos. 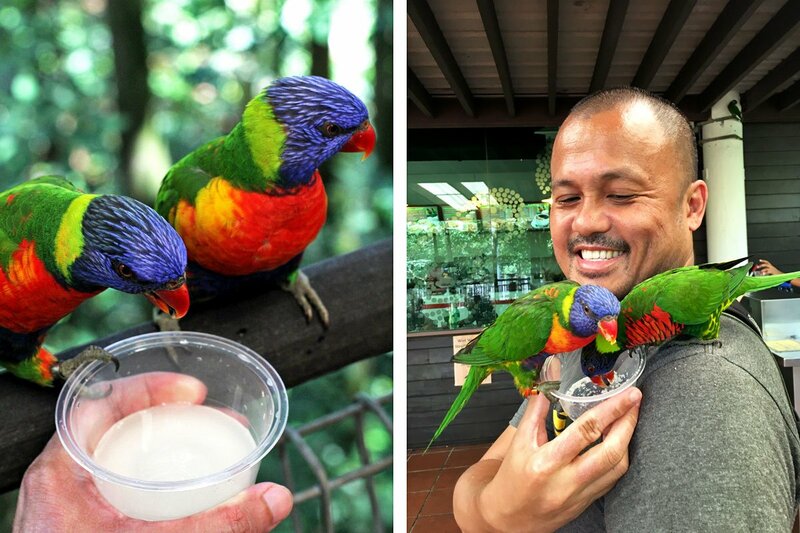 L: Jurong Bird Park isn’t just for the birds. I’m not sure if they’re a native species or were introduced, but you’ll spot a few of these iguanas freely roaming the park. R: Tank with river turtles and fish like pacu and carp. 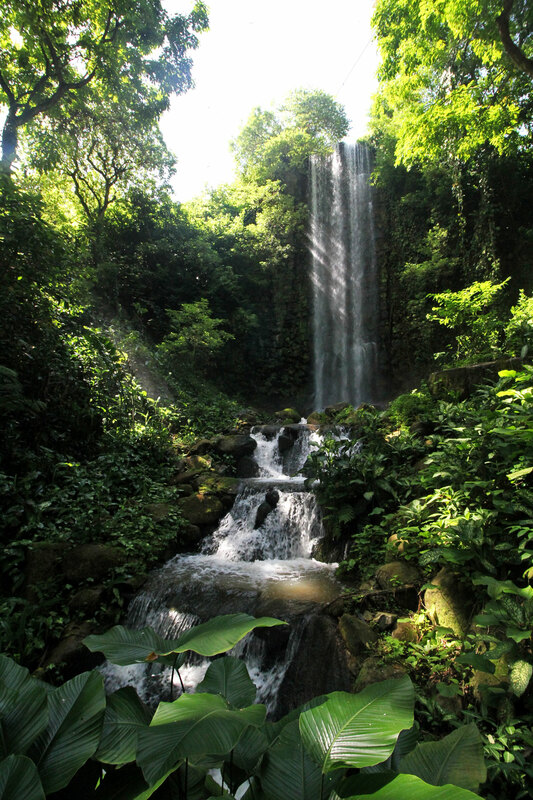 30-meter high waterfall at the waterfall aviary. There are over 600 birds here alone. Pelicans doing pelican things. We didn’t see it but there’s supposed to be an underwater gallery here that allows you to observe the pelicans diving for fish. 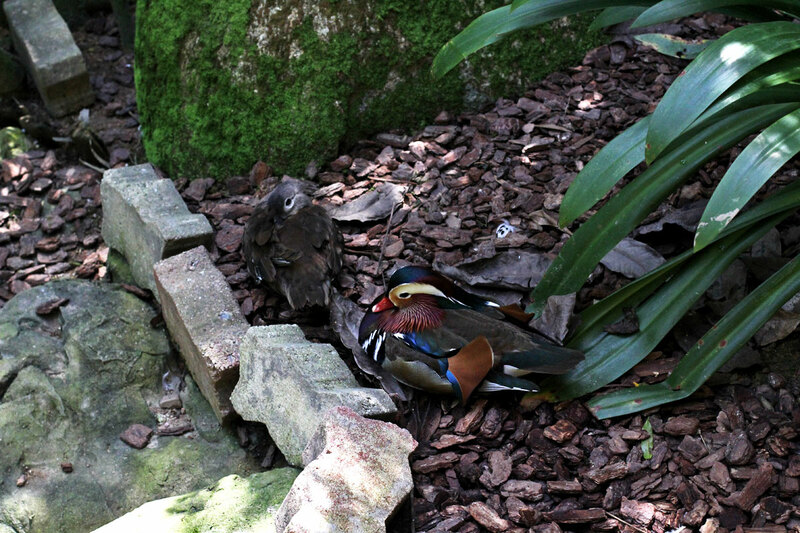 One of the park’s non-avian residents. 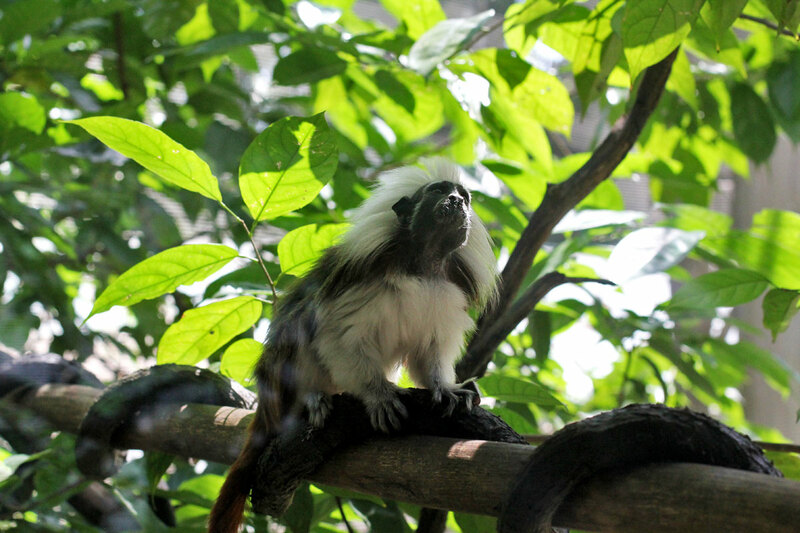 These cotton-top tamarins are so cute. You’ll find a few of them at Singapore Zoo. L: What up little fella? This dude sat there for a while posing for me. 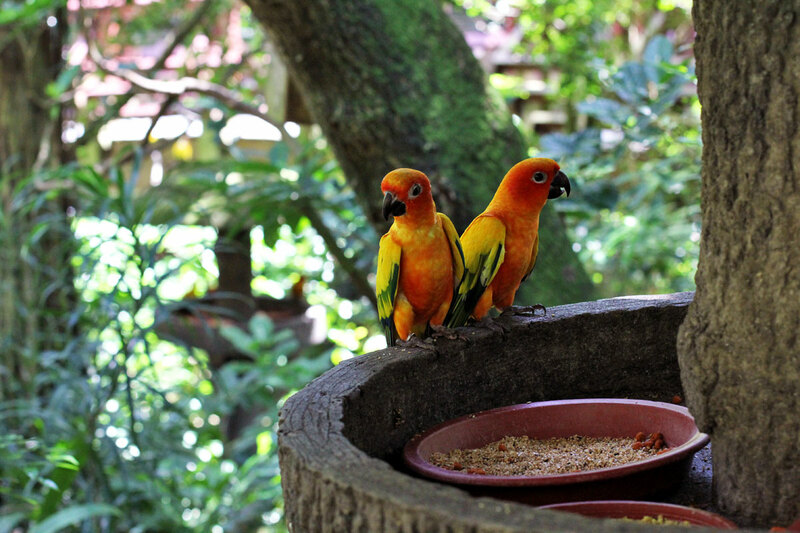 R: Sun conures at the Jungle Jewels aviary. They’re like little flying balls of sunshine. Not sure what type of bird this is but his colors were incredible. His head was emerald green while his back and wings were a deep, iridescent blue. His underbelly had different shades of red, orange, and yellow so he looked like a flapping rainbow every time he took off! Gorgeous! 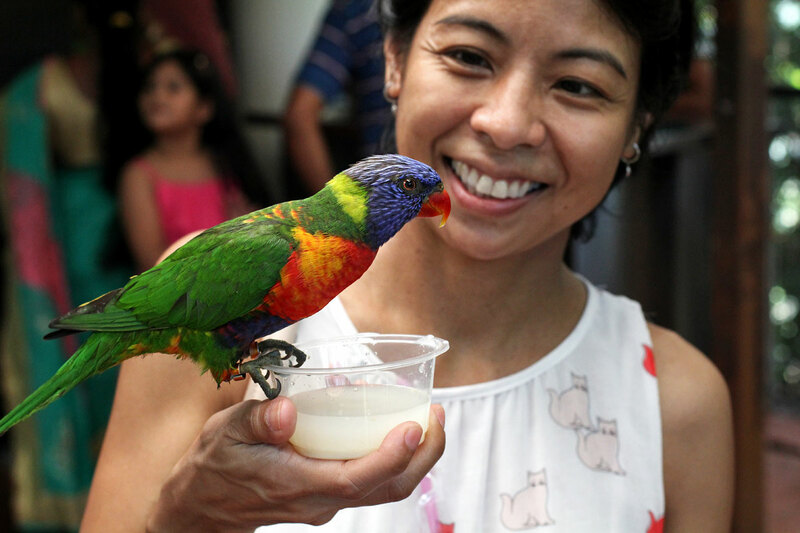 Now on to the 9-story Lory Loft, our favorite part of Jurong Bird Park and likely one of its most popular exhibits. Here you can feed the lories for SGD 3 a cup. They may start off a little apprehensive but they warm up real fast! 😀 These guys stayed perched on my shoulders and arm for a good ten minutes or so. 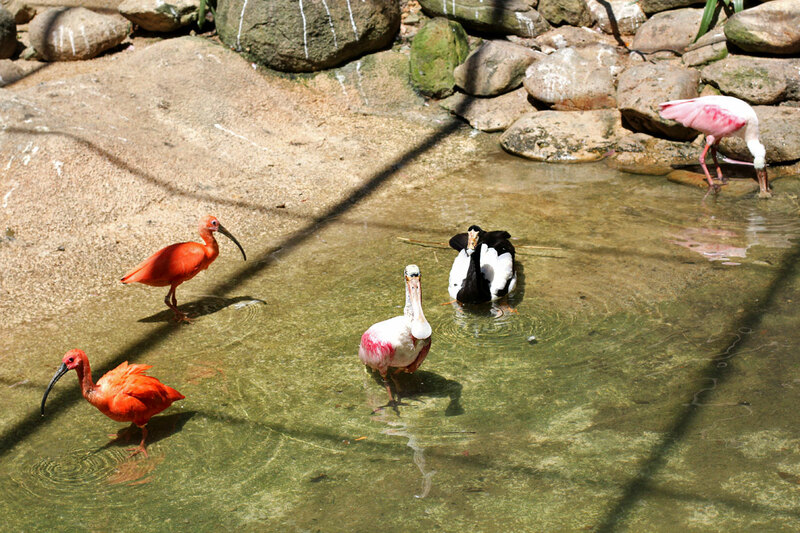 Scarlet ibis et al at the Wetlands exhibit. 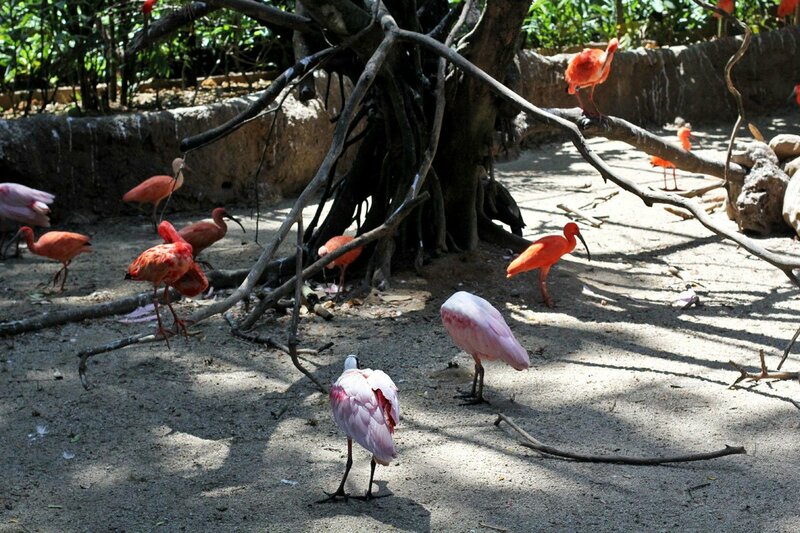 The vermillion birds are the scarlet ibis while the one in the middle is what they call a spoonbill I think. 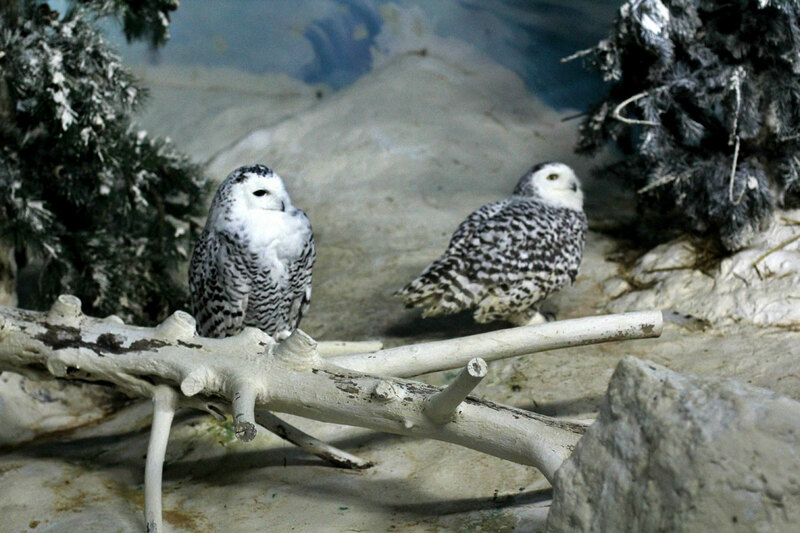 A pair of owls saying “night night” at the World of Darkness exhibit. 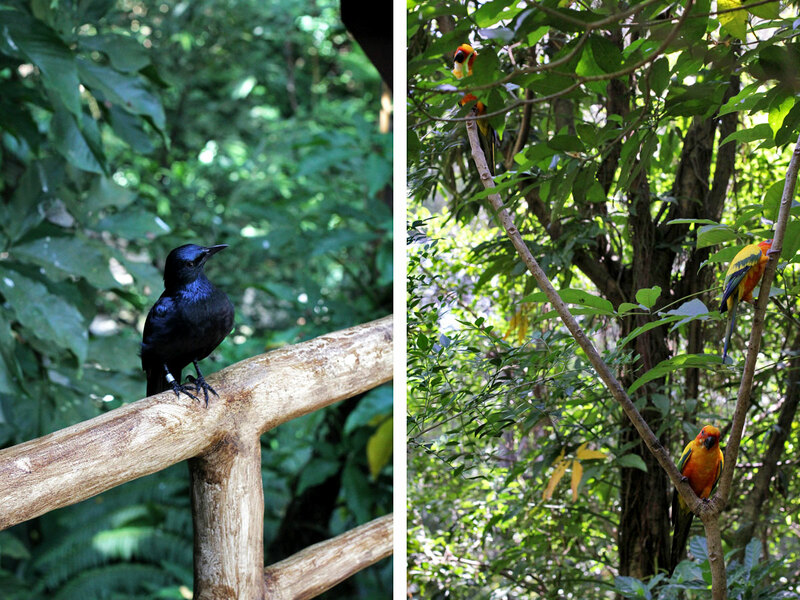 Jurong Bird Park isn’t as big or as interesting as Singapore Zoo but it’s still pretty cool. It makes for a fun day out, especially if you like birds. 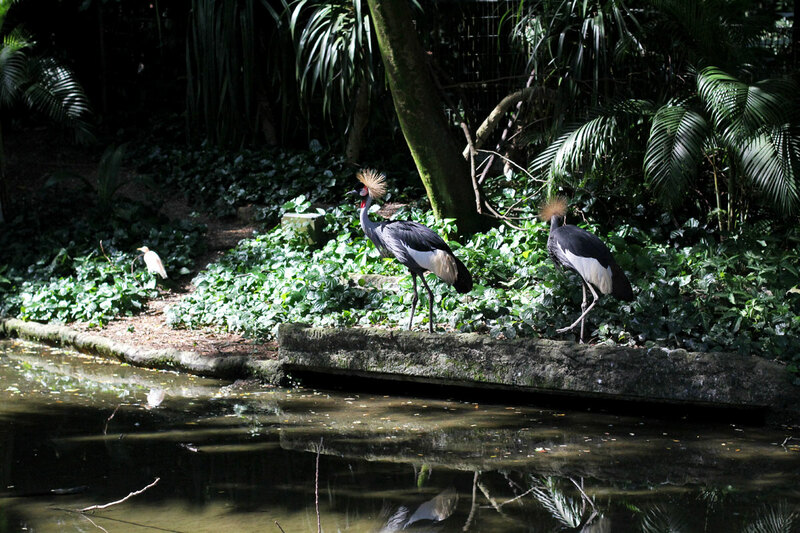 But if you don’t have any particular interest in birds and had to choose just one animal park in Singapore, then Singapore Zoo should be it. 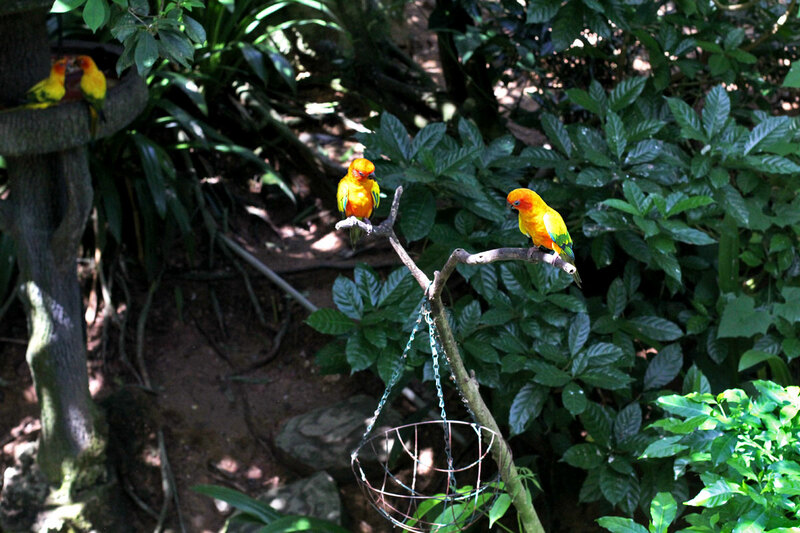 Jurong Bird Park is nice but it wasn’t as impressive as the zoo was, at least for us. If you’re interested in going, keep in mind that what’s pictured above represents a very small part of what you’ll find there. It was bright and super sunny when we went so most of my pictures turned out crappy. On top of that, many of the birds were behind wire cages so I couldn’t really take good pictures of them. But there are plenty of birds to see there like birds of prey, large flightless birds, birds of paradise, hornbills, and toucans, to name a few. 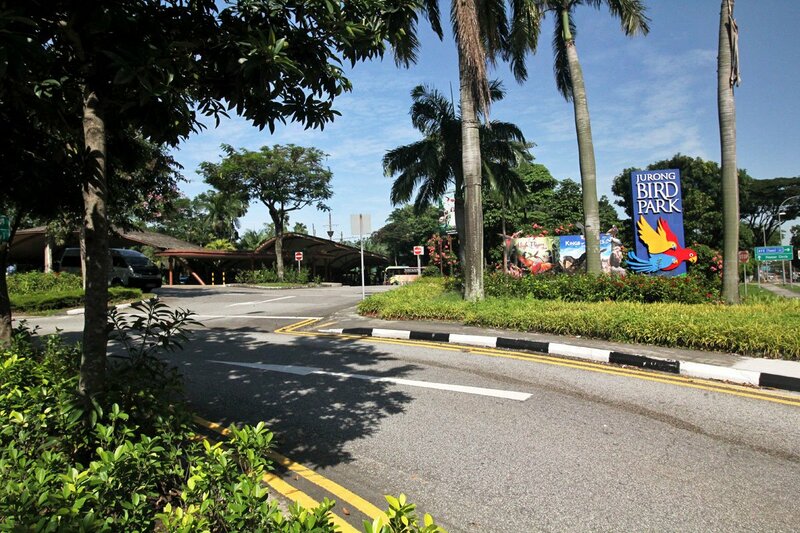 You can check out this map of Jurong Bird Park for an overview of the park. 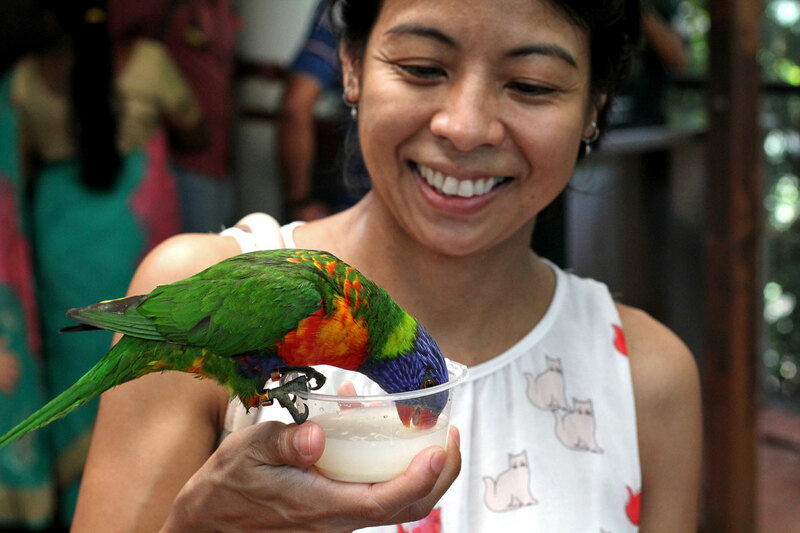 Admission to the bird park is usually SGD 30 for adults and SGD 20 for kids ages 3-12. 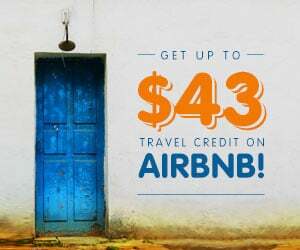 But if you purchase advance tickets online, then you can lower the cost of admission by getting a ParkHopper Pass. 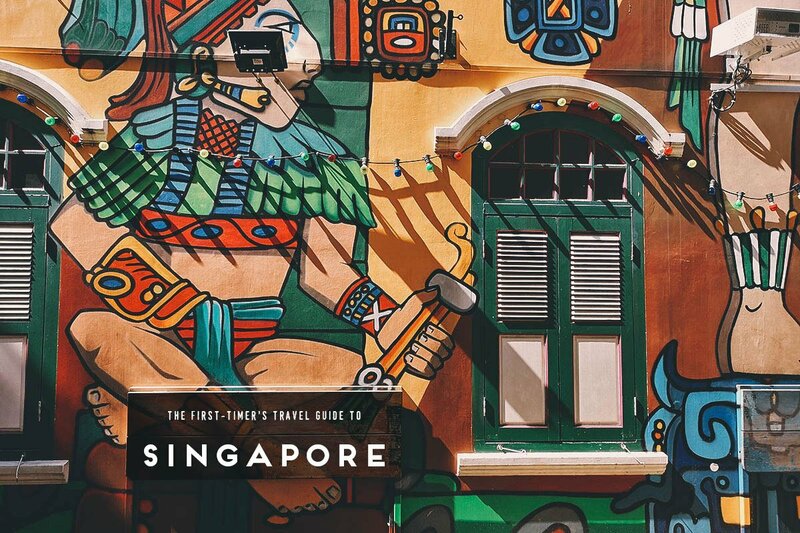 If you go to any 2 of these 4 animal parks in Singapore — Singapore Zoo, Jurong Bird Park, Night Safari, and River Safari — then admission to each one can be as low as SGD 22.05 for adults and SGD 13.05 for kids. If you go to all 4, then admission to each drops to SGD 15.53 and SGD 11.03 respectively! ParkHopper passes are valid for 7 days from the date of your first visit. 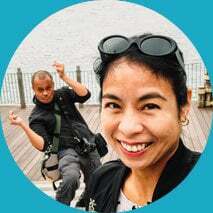 You can follow this link to the Singapore ParkHopper page for more information. If you want to visit just Jurong Bird Park, then you can get a discount on admission by purchasing your tickets from Klook or Kkday. 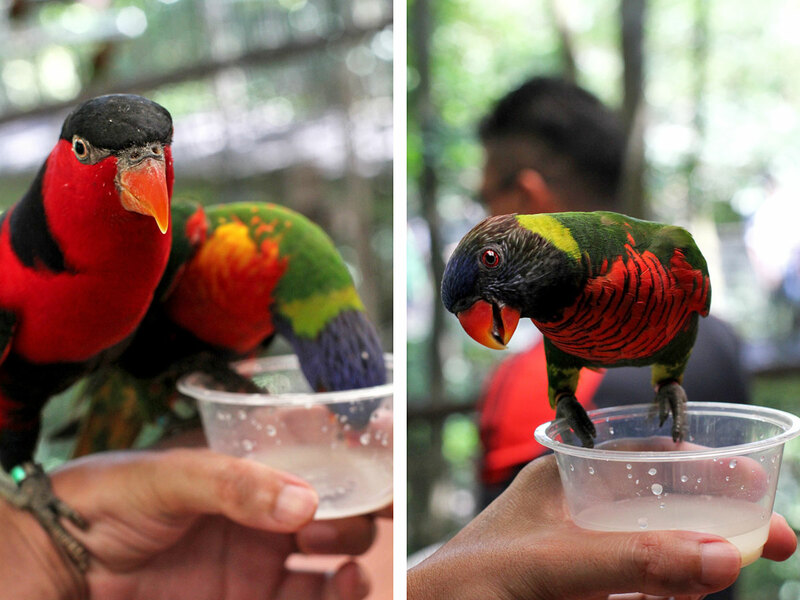 Follow these links to purchase tickets to Jurong Bird Park from Klook or Kkday. Take the MRT to Boon Lay station (EW27). Exit the station and cross the street to the bus station. 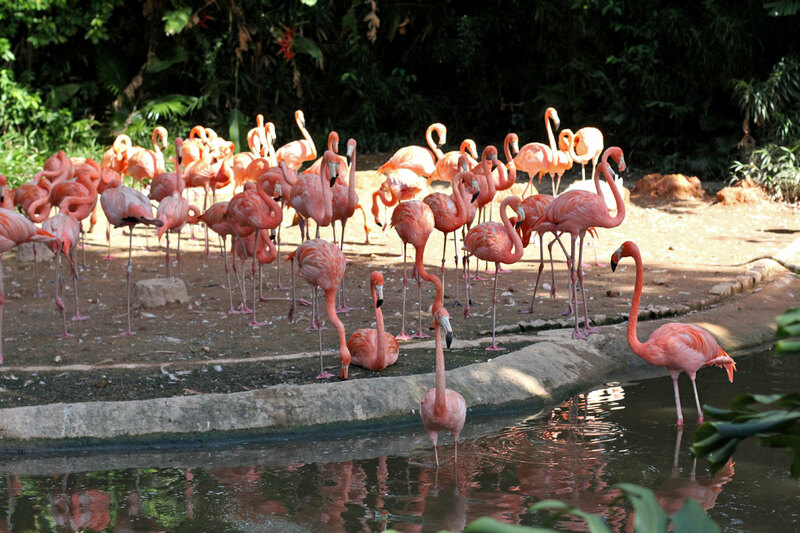 Take Bus 194 to Jurong Bird Park. I would LOVE this!! I am so excited about the itinerary being included. That’s such a good idea because sometimes it is so hard to know how much time a place needs to truly learn it.